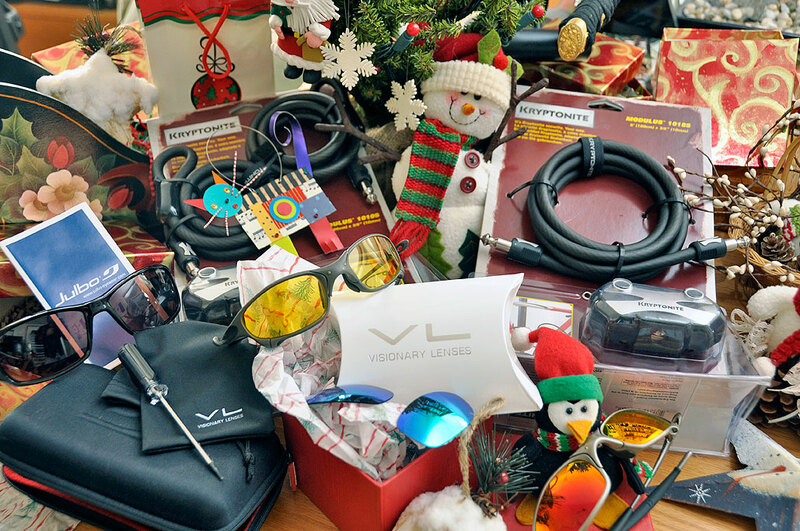 We thought a bit about what we should include in this year’s RainyDaySports gift guide. We had a lot of possible suggestions on cool but expensive gear. However, with the current fiscal condition and general economy, we thought we would scale back on things with large price tags. So the general theme this year is about accessories, not big ticket items. In that spirit, we hope you enjoy the recommendations. We looked a lot at sunglasses this year, specifically replacement lenses for Oakley’s Juliet frame. There are a few third-party replacement lens makers out there, but we think the offerings from Visionary Lenses are the best. We like this company because they offer the widest range of color options. If you know someone who has a pair of sunglasses they already love, give ’em some new replacement lenses and make them love the glasses even more! If you are set on giving a complete pair of sunglasses, the pair we would recommend is the Julbo Zulu . What is different about the Zulu is, unlike most conventional auto-darkening sunglasses, the Zulu lenses are not coated. The light-sensitive pigments are integrated into the lenses themselves. There is nothing to scratch off, react to chemicals, or be affected by changes in temperature. Additionally, the lens’ darkening reaction is activated by visible light, not UV, so the change in color density of the lens is the same whether in direct sunlight or behind the windshield of a car…something which is not true of other auto-darkening sunglasses. A lot of folks get new bikes as presents. 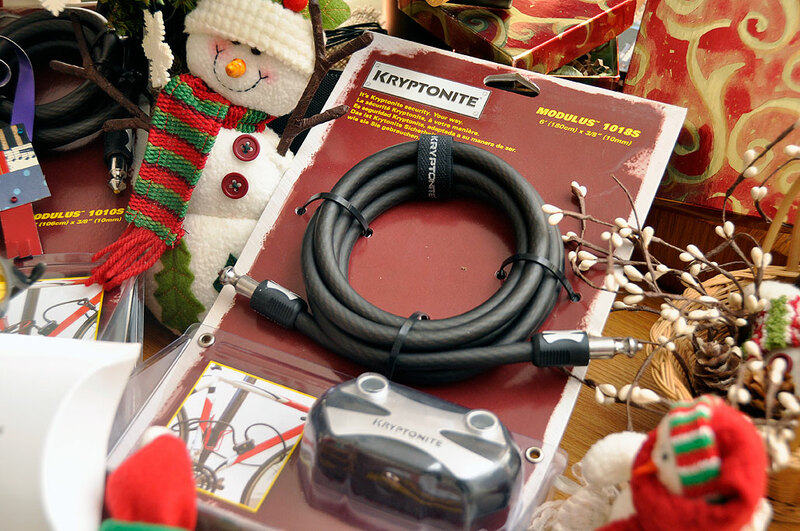 To help them keep their new bikes, give them a Kryptonite lock. The newest in the Kryptonite line is the Modulus system. These cable locks are designed to make it easy to secure a bike to just about anything. The 1018S Security System uses a single continuous cable. The low profile tips make the cable ends easy to thread. It is designed for fast lockups and can secure both wheels and the frame. The Modulus 1010S double cable system is even more adaptable. It utilizes noose-style cables. Use a single noose for the same lockup length as a conventional 6′ cable, but with less weight. Use both nooses for extra length or double security. 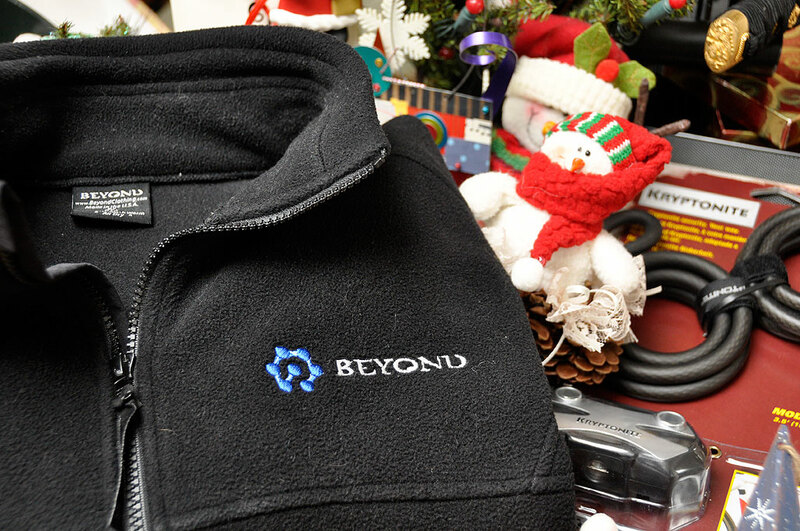 For the one on your list who has been ESPECIALLY good this year, give them a great fleece jacket from Beyond Clothing. The one we have been putting through the wringer this year is their Cold Blooded X Jacket. It is, hands down, the best fleece jacket we have ever worn. It has two fleece layers, is 100% wind-proof, and is the warmest fleece on the market. For a little bit more than what one would pay for something off-the-rack, you can give them a custom-cut fleece jacket that they will wear all year round. We recommend it without reservations. We hope you will find these recommendations helpful. Remember, we wouldn’t have suggested them if we wouldn’t want them under our tree 🙂 Happy Holidays!